Hope you are enjoying your weekend! Mine is very very busy. In between my appointments, I made a set of three cards using Simon Says Stamp November 2015 card kit called handmade with Love. I have used the Simon Says Stamp prefold A2 cards as my base. This came in the kit. Then adhered pattern paper from the kit on the card front. Then layered with a white panel which is half an inch smaller than the card front. 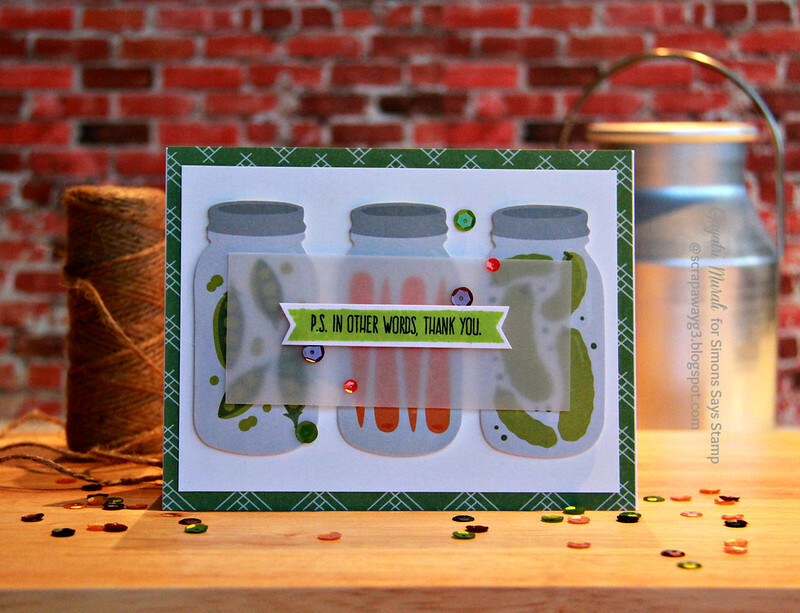 On the white panel, I have adhered the jars of picked vegetables, fruits and herbs die cut from the pack in the kit using foam adhesives. Then a layer of vellum and finally the sentiment banner with the stamped sentiment from the Apple of my Pie stamp set from the kit. I picked the colours from the jars to use on the background pattern paper and sentiment stamp. Finally embellished using Pretty Pink Posh Autumn Harvest sequins mix and Onyx Black sequins. 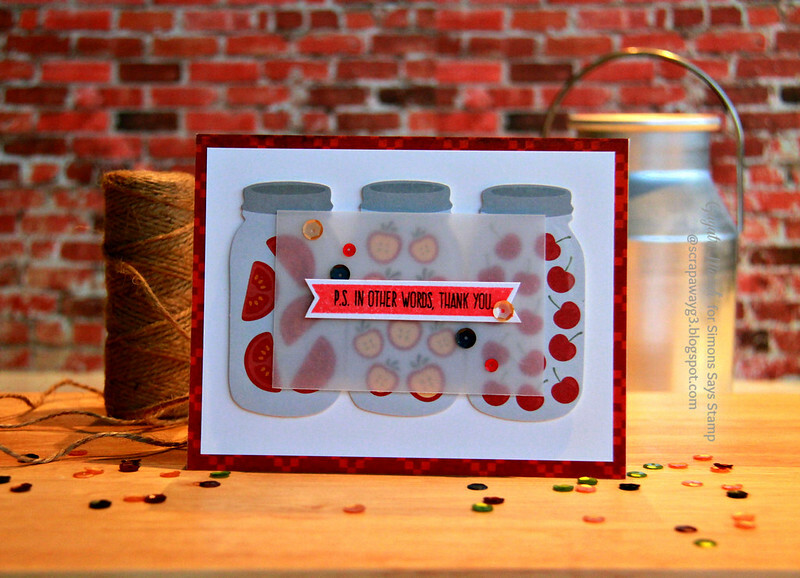 The November card kit Handmade with Love is perfect for all your Fall themed cards. 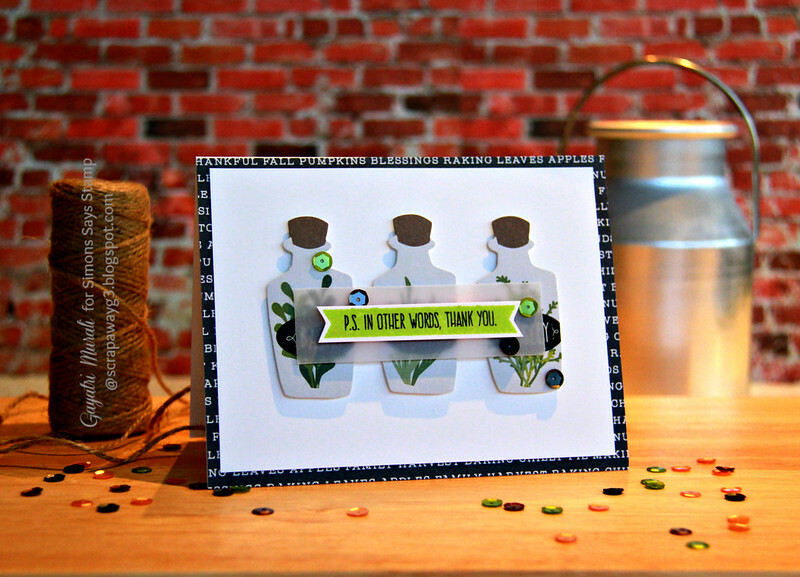 The kit is available for purchase at Simon Says Stamp Store. Hope you liked my set of thank you cards.